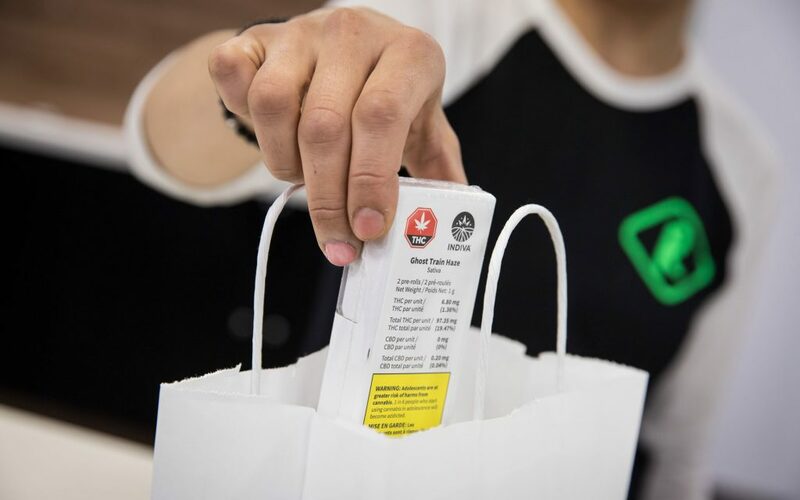 Five and a half months after Canada became the first G7 nation and the second country in the world to pass legislation legalizing recreational cannabis, the first brick-and-mortar stores opened in Ontario. Nine stores opened for business on April 1, the government-designated date. One opened six days later. 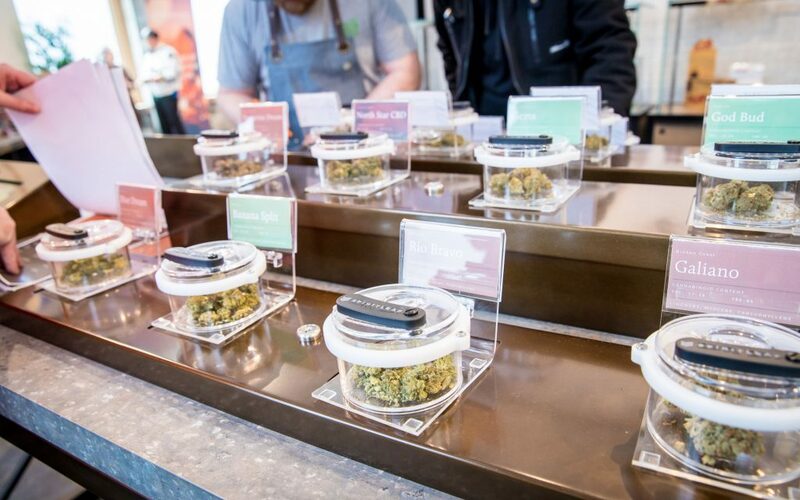 Here are the highs and lows of cannabis retail in Week One. Business got off to a roaring start. The stores drew long lines of cannabis enthusiasts and curiosity seekers. Some people stood in line for hours and at least one went further. Caryma’ Sa’d set up a pup tent outside The Hunny Pot in downtown Toronto almost 24 hours before the store opened its doors Monday morning. 7/10 Ontario stores that opened Apr. 1 recorded an average of $50,913 in sales and 867 transactions. The budtenders at The Hunny Pot had background knowledge and experience in cannabis and made some good recommendations,” she said, adding that she had purchased her a gram of her go-to strain, Tangerine Dream. 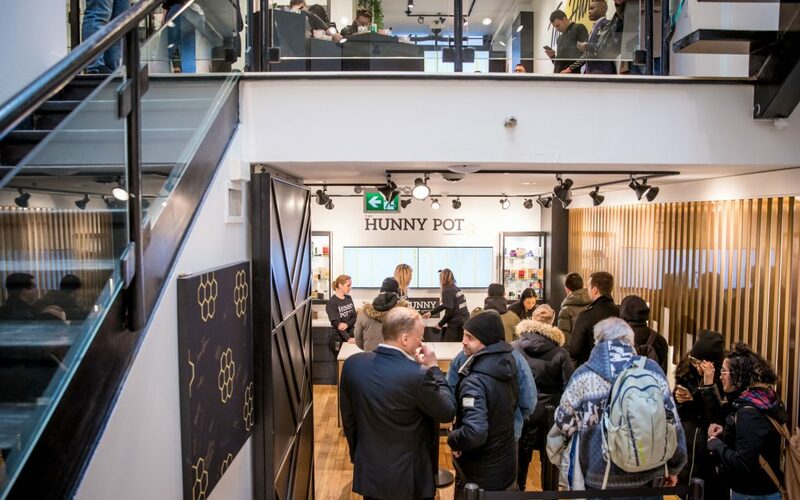 The Hunny Pot, the only cannabis store to open in Toronto on Apr. 1, was jammed with customers for the next four days. He was just one of many cannabis consumers who was high on the excitement of the day. Sales were brisk on Day One. 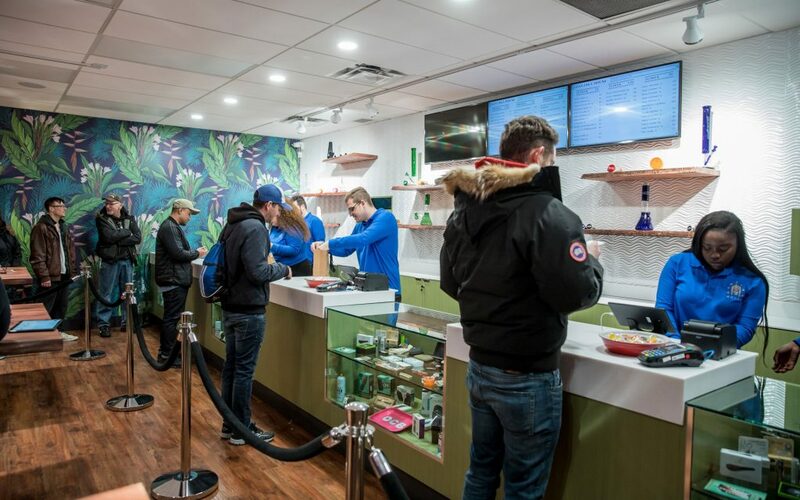 According to Cova Software, an American cannabis retail software provider that serves 100 stores in Canada, seven of the ten Ontario stores that opened Apr. 1 recorded an average of $50,913 in sales and 867 transactions. Other Canadian stores that are tracked by Cova averaged $4,976 in sales per day and 111 transactions over the first quarter of this year. It’s amazing to see it come to life after all the work we’ve put in the last couple of months. A week after the 25 cannabis retail outlets were supposed to open for business, more than half had still not done so. Some were still going through the lengthy government vetting process and facing potential fines for the delay. This resulted in such high demand at the stores that did open, there were concerns about supply shortages. When he was asked about the possibility of running out of product at The Hunny Pot, Gawri gave an equivocal response. “It’s hard to say,” he told The Canadian Press. A consultant affiliated with Ameri, a store that opened in the upscale Toronto neighbourhood of Yorkville on Apr. 7, did his best to allay concerns. “We have more than enough product. There’s no need to panic to come down and buy product,” he said. He requested his last name not be used because of concerns crossing the Canada-US border. While some cannabis consumers fretted over possible product shortages, others raised concerns about accessibility. Not all the stores were prepared to accommodate customers with limited mobility—no small glitch considering the high number of consumers who use cannabis for therapeutic purposes. The Hunny Pot said it had a ramp that customers on wheelchairs, scooters and other wheel-assisted devices could use to enter the building but none was spotted. As a result, some customers faced challenges entering the building and moving around the multi-level store. About 400 kilometres east, in Ottawa, Fire & Flower, didn’t have an accessibility ramp either. Representatives of both stores say they plan to make their outlets more accessible, in compliance with Ontario law. 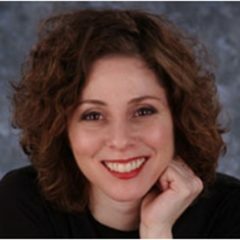 It is truly astonishing to see the garbage work of Doug Ford’s Ontario Government on this file. The same week this initiative was rolled out, Ontario Finance Minister (the Minister responsible for the AGCO) announced he was amenable to wine and beer in corner stores, despite the mountains of research that show wider access to alcohol results in grievous health and associated social costs. These idiotic dinosaurs have got to go!